I'm delighted to welcome Maggie Robinson back to the Romance Dish to celebrate another book in her terrific Ladies Unlaced historical romance series. 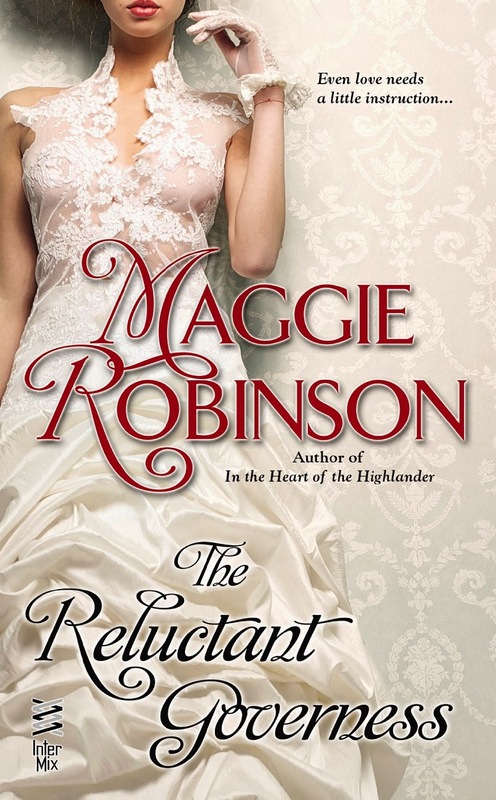 I've been reading - and enjoying - Maggie's books since her debut but this series, with In the Arms of the Heiress, In the Heart of the Highlander and, now, The Reluctant Governess is my favorite and, I feel, her best work yet. 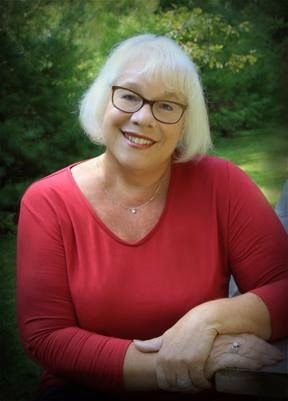 You can find more information about Maggie and her books at her website and connect with her online at Facebook, Twitter and Goodreads. Welcome, Maggie and congratulations on the release of The Reluctant Governess! Thank you for allowing me to share this special release day at the Romance Dish! The Reluctant Governess is the twelfth historical romance I’ve had published! True, I’ve had novellas and a short story in four anthologies, but this makes a dozen full-length novels with my name on the spine, ten as Maggie Robinson and two as Margaret Rowe, my eviler alter-ego. People always ask me how many books I’ve written, and I never come up with a snappy answer. There are three “under the bed” which will gather dust bunnies for all time because they are basically hideous, the ones waiting for their publication date, and the ones I’m always working on. So, there’s no magic number—but when I realized Governess was officially Number 12 out in the world, I thought that was worth celebrating. I had members of the Maine Romance Writers to my house this weekend for a retreat. One of them brought dahlias for me and my goodness they're gorgeous. I don't have any in my garden and now I'm tempted to go through the trouble. I love peonies the best, I think. Maggie, I saw the picture of those dahlias. They're beautiful! Hello and congratulations on the new release! I don't know if the giveaway is international or not, but to answer your question, a dozen cupcakes would be great right now. Preferably with a lot of chocolate. Mmmmmm.....cupcakes! I would't mind a dozen chocolate cupcakes with sea salt caramel icing. I had some when I was in San Antonio that were beyond delicious! Good morning, ladies! Yes, the giveaway is international. My post office absolutely loves me--sometimes I think I'm the only one keeping it afloat. I have plenty of declaration forms, Antonia! PJ and Andrea, thank you so much for having me here (and finding my new author pic to post...no more double chin, LOL). I'm thrilled to celebrate release day with you! Even after 12 books, I still get awfully nervous. So glad Governess is a fave! Maggie, I love your new photo. You should wear red often! Definately the men in kilts! Yes, I suspect a lot of women are imagining their men in kilts after watching Outlander. My husband (who's of Scottish descent) only has tartan trousers in the family plaid. Couldn't talk him into the kilt, LOL. Oh yes, definitely men in kilts! Hi, Maggie! Great to have you here again. I just got home but I'll be back to play once I feed the dog and take care of a few other things. Fitz is here next to my desk whining. I think he wants to go out and chase squirrels. Thanks so much again for having me here! As I'm an avid reader I'd like a dozen romances books. I haven't read any of yours so please send me 12 of your books Maggie. I did enjoy PJ's review of your latest series. Laurie, definitely give Maggie's books a try! As I said in my intro, I especially love her current series. Hi Maggie! Can't wait to read The Reluctant Governess! I love your books. I'd like a dozen pints of Ben & Jerry's please. You can't buy good icecream (as in icecream with *real* cream) here in Bolivia. Hi Lenora! You know, I think I've only had Ben & Jerry's once or twice...ever. My current addiction is Talenti's Gelato. So delicious! Oh so many choices! Roses, books, truffles! All things I love. There's no reason you can't have them all! I agree with PJ that the Ladies Unlaced series is your best series, Maggie, although I think Andrew from Master of Sin is my favorite Maggie Robinson hero. The new series is fun and swoon-worthy, and the Edwardian setting is wonderful. I just posted my enthusiastic review of The Reluctant Governess at GoodReads and Amazon this morning. Now I can't wait to read The Unsuitable Secretary. Bourbon brownies? Somebody has a recipe for bourbon brownies? How did I not know this! Congratulations on the new book. I'd like a dozen chocolate chip cookies. Getting the baking bug. I haven't made chocolate chip cookies in a while. So hard to pick - books and bottles of cabernet savignon lol. Love the sound of this story - it's my favorite genre! I actually have 5 bottles of cabernet in my dining room. 7 more, and there's your dozen! Erin, everyone should have much more vacation time. I read somewhere the US ranks about last in the industrial world for paid time off. So many people don't get vacations at all. :( Everybody needs to recharge their batteries...and read! There are never enough reading days. I heartily endorse your choice, Erin! Ladies unlaced rocks!!! Been awesome for my tread mill miles! I loved them all and reading this one right now. I think the dozen for me would always be books.... More than anything books. Love to hear I'm good for you, LOL. I know! There aren't any close bookstores where I live, so I depend on ordering online or downloading. I'm so lucky--when I began to write seriously, my husband started watching the Food Network and experimenting. He made a blueberry pie today! I hardly ever cook now except for holiday meals or company. Thanks for visiting with us today, Maggie. Wishing you all the best with THE RELUCTANT GOVERNESS! What would I do with a dozen men in kilts!!! The mind boggles. We stayed at a Scottish hotel once where there was a wedding and EVERYONE was wearing kilts. It *was* mindboggling, LOL. Dinner from a personal chef.... but if I can't get that --- men in kilts is always a winner! Oh, we had a Schwan's (sp?) delivery for a time. The peach pies! What a great set-up for your plot - sounds amazing! My choice: a dozen puppies. (I'd keep two and the rest would get loving homes). fresh flowers are always lovely to receive, and much better for my waistline than getting a dozen cupcakes - tho a combination of the two would put a big smile on my face! I must have forgotten to post my comment last night. I already have my man in a kilt, and couldn't handle a dozen. I'd like to have a dozen round trip tickets delivered to my house for the trips my husband and I would like to take - Scotland, Greece, Australia, New Zealand, Ireland, and Southeast Asia. This sounds like an interesting series. Nice to switch up the usual time period and get out of Regency England. It gives a bit more freedom to the female characters.